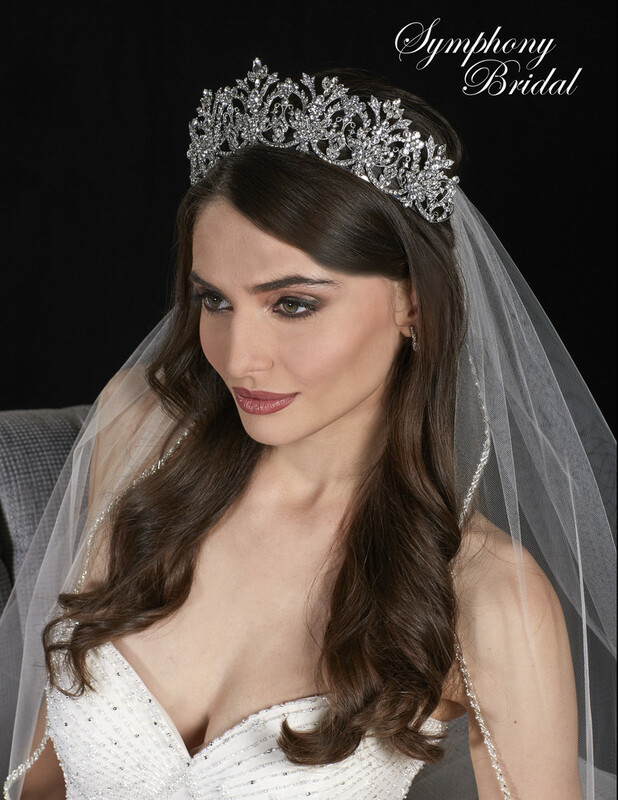 Enrapturing sheath fashion for the bride has a trumpeting skirt with exceptional lace appliques on lattice netting over satin on the torso. 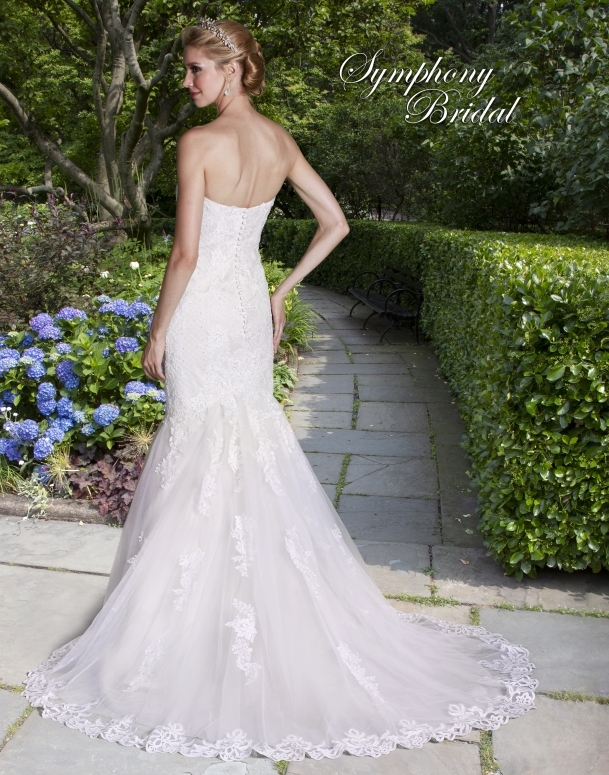 The bodice is strapless with a sweetheart neckline and delicate accents of beading, sequins and crystals. 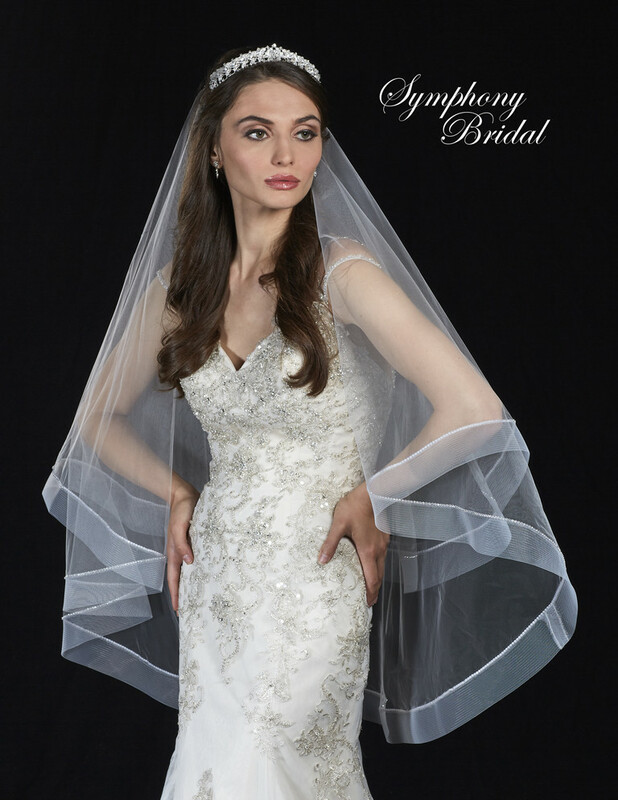 The trumpeting skirt is made of sheer net with scattered lace appliques and a finished lace hem and a chapel train.